Pasig, one of the busiest and most crowded cities and places here in the country, is a branch of business districts in the country. Therefore, hundreds, even thousands of people travel to and from Pasig everyday. If you know how the traffic conditions in Pasig is, then you know that it’s as bad as it can get. Due to repairs of roads and bridges, reports from the Pasig Command Center explains that people should be prepared with the traffic it can offer. More so, the center advised motorists and commuters to expect delays and heavy traffic along the routes of the C-5 Flyover and the C.P. Garcia Bridge because repairs will occur for one (1) whole year starting the 6th of February 2019. 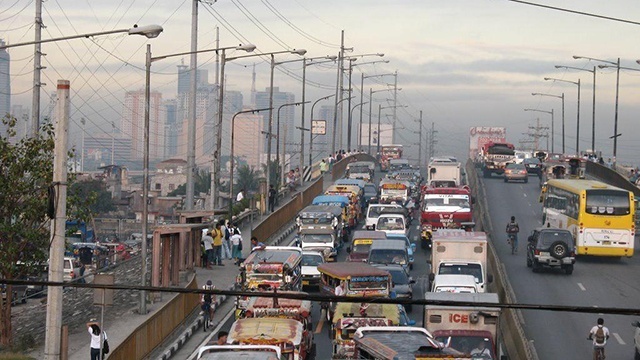 What can motorists and people who commute in Pasig do to avoid it? According to the Department of Public Works and Highways (DPWH), they advised motorists to take alternate routes for them to avoid the heavy flow of cars and traffic. More so, the Department also cited that the C.P. Garcia Bridge, as one of the bridges that needs rehabilitation and improvements, will be one of the bridges to be affected by the repairs. This is for the Pasig Government to ensure the safety and the security of the passage of vehicles and commuters in Pasig. So, if you are a regular commuter in going to and from Pasig City, you might want to take alternate routes or to observe different ways on how you can get to your destination coming from and going to Pasig City. The Manila Bulletin, one of our country’s leading newspaper company, had reports saying that the Department of Public Works and Highways (DPWH) National Capital Region (NCR) director Melvin Navarro said that old bridges in the Metro has a load capacity that is already constrained. So, the agency seeks to address and to fix this issue by road and bridge improvements like strengthening, widening, and retrofitting. They feel like doing this action can successfully rehabilitate old bridges and should follow the regular standard design of the DPWH’s seismic guidelines and layouts to ensure that these structures are going to withstand the number of people traveling through it are safe and sound. Read: What Are The First Things To Do If I Get Into An Accident With Another Car? So, if you commute in Pasig, be sure to check out different routes and to ensure that you will get to your destination on time. For more updates and news, stay tuned!